Whenever a player can control their arc of swing, they become more consistent, they hit the ball longer and their scores plummet. They have the ability to control their ball flight at will and the wild shots are eliminated. It is sooo important… but what is it? Swing direction is the direction that the base of the arc of swing is pointed, relative to the target line. Swing plane is the vertical angle between the ground and the circle that the club head travels on during the bottom portion of the swing arc. Both of these factors make up the arc of your swing and competence in these parameters is critical if you want to master your ball flight. Well it all comes down to the steep to shallow golf swing. 99% of top tour players will swing the club on this steep to shallow arc. They will take the club back on a relatively steep plane and then shallow the plane on the downswing. The shaft angle on the backswing with a mid iron will be aligned with the right shoulder and point midway between the ball and the feet. 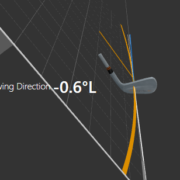 This plane angle will be slightly flatter on the backswing with the driver, but not by much. As the club then transitions into the downswing, the club shaft angle will shallow, dropping the plane angle and pushing the club more behind the body. The club shaft at the halfway down point will be below the right shoulder allowing for the hips to clear fully, creating a slingshot effect with the club head. 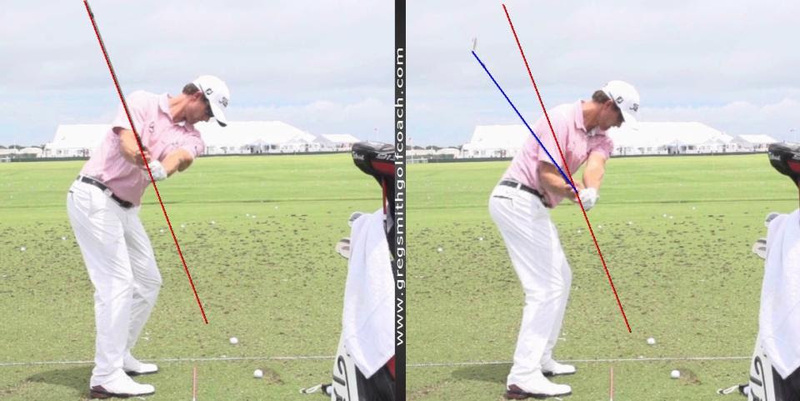 This slingshot effect generates a tremendous amount of clubhead speed and also results in the squaring up of the direction of swing. The plane angle will be optimal for the specific club used and the arc of swing will be exactly where you want it to be. The best part of this technique is that it is also very easy to reproduce (when proficient at it) resulting in very consistent impact and a tight dispersion on all shot’s. The steep to shallow swing plane forms the basis of the swing plane system within the golf swing. When you can master the swing plane system, you will hit the ball longer and straighter than you ever dreamed possible. 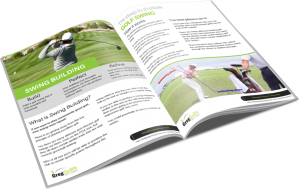 You will increase your knowledge on how to swing the club, allowing you to hit longer, straighter and more consistently. I will also put together a 12 week plan for you to ensure that you hit your goals and stay consistent with your actions, guaranteeing success. You will have all of your drills, practice plans and best strategies that will allow you to “Fast Track” the process. You will literally transform your golf swing and I will guarantee it! Click the button below to find out more about working with Greg.